But this is Android, so it's possible to get around this restriction. Users can sideload just about any app they want, usability be damned. The problem is that the Leanback Launcher, Android TV's default experience, doesn't show these applications. 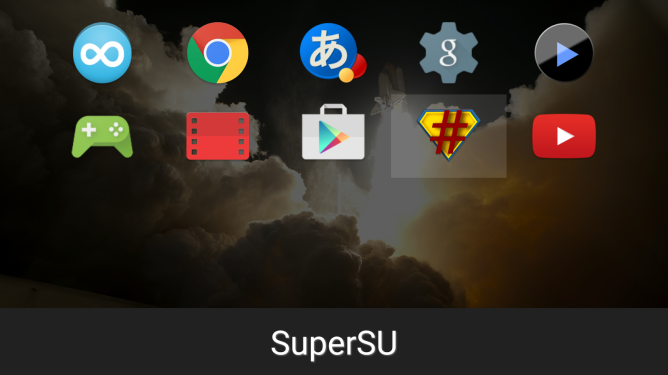 To get around this, SuperSU developer Chainfire has thrown together a quick little app called Sideload Launcher that will allow Android TV to display all of the apps saved to the device just as any traditional Android phone or tablet would. With it running, you get the familiar grid, and you're able to click on whatever you want. To use this app, you need an Android TV device, meaning an ADT-1 or the upcoming Nexus Player. It's useless on everything else out there, so don't feel sad if you won't have any such device for quite a while. You're not missing out on anything. This is just a little side project that happens to scratch a very particular itch. Sideload Launcher has helped Chainfire, and now it might help someone else out there.